Crowley's Star Sponge vision at Lake Pasquaney around 1916 e.v. was a very profound perception but a very ordinary conception. Crowley saw “Nothingness with twinkles” and elaborated the vision subsequently to include many insights. “… Each stage in the process was like the joy of a young eagle soaring from height to height in ever increasing sunlight as dawn breaks, foaming, over the purple hem of the garment of ocean, and, when the many coloured rays of rose and gold and green gathered themselves together and melted into the orbed glory of the sun, with a rapture that shook the soul with unimaginable ecstasy, that sphere of rushing light was recognized as a common-place idea, accepted unquestioningly and treated with drab indifference because it had so long been assimilated as a natural and necessary part of the order of Nature. At first I was shocked and disgusted to discover that a series of brilliant researches should culminate in a commonplace. But I soon understood that what I had done was to live over again the triumphant career of conquering humanity; that I had experienced in my own person the succession of winged victories that had been sealed by a treaty of peace whose clauses might be summed up in some such trite expression as “Beauty depends upon form”. It would be quite impracticable to go fully into the subject of this vision of the Star-Sponge, if only because its ramifications are omniform. It must suffice to reiterate that it has been the basis of most of my work for the last five years, and to remind the reader that the essential form of it is 'Nothingness with twinkles. '” — From Crowley's new comment to “Liber AL”, Ch. I, v. 59. This vision discovered the concept of a simple mathematical field, later extended to include vector and functional fields. Crowley's contact with Sullivan (see “Confessions”, p. 922) led him to investigate mathematical authors. He was deeply impressed with the writings of Bertrand Russell and A. Eddington. Crowley's interest in the mathematics of fields and series came to dominate many passages of his later writings, especially the commentaries to “Liber AL” and “Liber LXV”. What made the Star Sponge vision pivotal for Crowley was his state of readiness at the time he perceived the relation. Some studies and experiences, especially initiations, must occur in sequence. Many of those who espouse the “new” Chaos Magick fail in this regard. There is nothing new or revolutionary in Chaos Magick. It is the common practice of all students of the mysteries, and a beginning to serious work. Study of established systems is necessary. From Crowley's spontaneous (Chaotic?) vision of the Star Sponge, a trivia in itself, he went on to discover the ramifications of this vision in the accumulated lore of mathematics. Had he not done that, he would have spent much time “rediscovering the wheel”. As it worked out, Crowley was able to apply elementary field theory by metaphor to teleology and, less successfully, to sociology. “4. The fifty gates of Binah have been variously explained. They do not appear to be of any great importance; it is only their number which is significant. The reference is to Nun = 50 = Scorpio Atu XIII – Death.” — from “Cry of 14 Aethyr”, “Vision & Voice”, page 82, fn 4. The 50 gates of Binah were not directly understood by Crowley as such, but he acquired the conception through time and personal experience. The essential idea behind the 50 gates appears in many of his writings and attainments; e.g., “Wakeworld” in “Knox Om Pax”, and “Vision and Voice”. Crowley missed the significance of the G∴ D∴ diagram of the ten Sephiroth in seven palaces in this conjunction. That diagram (“Equinox” Vol I, No. 2, “Temple of Solomon the King”, p. 272, Dia. 27) shows the distribution of the ten Sephiroth into seven palaces, and is a representation of the exact moment of the opening of the fiftieth gate — the crossing of the Abyss. At that moment Malkut and Yesod merge and the upper three Sephiroth appear as one, as Binah. Crowley was aware of this from direct experience, and noted seeing the Supernals as one Sephira on first crossing the Abyss. Unlike his experience with the “Star Sponge” vision, he apparently did not identify this with a pre-existing body of knowledge, the tradition of the Fifty Gates of Understanding. Very Probably this oversight can be blamed on the old Golden Dawn representations of these 7 palaces and the Beast of Revelations in a Christian negative view. See “Equinox” Vol. I, No. 2, p. 275, Dia. 33 and p. 283, Dia. 51, where the Beast is associated with the palaces. Most of the speculation concerning it has dealt with things like the seven hills of Rome, Christian heresies concerning “Satan”, Antichrist and the like. This Beast is a relic of gnostic and prechristian mysticism of unknown antiquity. “Revelations” is itself a forgery, with the visions copied from prechristian Merkabah sources. The Beast with 10 horns and 7 heads is a variant of the serpent on the 32 paths of the Tree of Life and an alternative to the diagram of the seven palaces. There is a list of the Fifty Gates of Binah or Understanding in the back of a translation of the “Sepher Yetzirah” by Wescott, although not in all editions, and the original of that list is in Kircher's “Oedipus Aegyptiacus”. Westcott took liberties with his source. He changed gate 41 and removed material from the description of gate 50, concerning Moses. His translations of the Latin are sometimes distorted by pre-conceptions. Gates 41 through 49 also contain an original confusion of the prechristian Qabalistic angelic orders with the 5th century Hierarchies of Pseudo-Dionysus. “1. Chaos, Hyle, the first matter. “41. Ishim — Sons of Fire. 48. Beni Elohim — Angels. from Iathanasii Kircheri “OEdipi Aegyptiaci” Tomi Secundi, Vol. B (separate pagination from IIA), 1653ev pp. 319-321. More information is found on pp. 316-318, the entire section VI is titled “De quinquaginta portis Intelligentiae”. Kircher's Hebrew type setter tends to misspell, and the Hebrew type renders some letters too like to others. 2 Vacuum & inane, id est, formarum priuatio. 4 Elementorum discretio & rudimenta. 5 Terrenum elementum nullis adhuc seminibus infectum. 6 Aquae elementum operiens terram. 7 Aeris ex aquarum abysso exhalantis elementum. 8 Ignis elementum fouens & animans. Porta 11 Mineralium, terra discooperta, apparitio. 12 Flores & succi ad metallorum generationem ordinati. 13 Mare, Iacus, flumina intra alueos secreta. 14 Herbarum, arborumque, id est, vegetatiuae naturae productio. 15 Vires & semina singulis indita. 22 HB:a'aBR MN ChADMH, Limus terrae damascenae materia. 24 HB:SVD HADM VChVH, Adami & Euae mysterium. 25 HB:HADM KLBV, Homo omnia, microcosmus. 26 HB:ChMShH KHVTh HGShM, Quinque potentiae exteriores. 27 HB:ChMShH KHVTh HNPSh, Quinque potentiae interiores. 28 HB:HADM HVA ShMYM, Homo Coelum. 29 HB:HADM HVA MLAK, Homo Angelus. Porta 31 HB:HGLGL HLBNH, Coelum Lunae. 32 HB:HGLGL HKVKB, Coelum Mercurii. 33 HB:HGLGL HNVGH, Coelum Veneris. 35 HB:HGLGL MADYM, Coelum Martis. 36 HB:HGLGL TzDQ, Coelum Iouis. 37 HB:HGLGL ShBTAY, Coelum Saturni. 38 HB:HGLGL HRQYa'a, Coelum firmamenti. 39 HB:HGLGL GLGL RAShVN, Coelum mobile. Porta 41 HB:ChYVTh HQVDSh, Animalia sancta, Seraphini. 42 HB:AVPNYM, Ophanim, id est, Rotae, Cherubini. 43 HB:ARALYM, Angeli magni fortes, Throni. 44 HB:ChShMLYM, Haschemalim, id est, Dominationes. 45 HB:ShRPYM, Seraphim, id est, Virtutes. 46 HB:MLAKYM, Malachim, id est, Potestates. 47 HB:ALHYM, Elohim, id est, Principatus. 48 HB:BNY ALHYM, Ben Elohim, id est, Archangeli. — The selection concludes with an assertion that only Jesus Christ penetrated the fiftieth gate; evidently an interpolation by Kircher. This was drawn up into the text of the gate by Westcott, obscuring the original. 25. Physical growth stops — adulthood in society. 45. Sovereignty — power to represent the highest. The examples of the fifty gates presented above demonstrate one of two principal forms of the gates of Understanding. These first two examples are representative of the higher of the two forms and can be related to the Tree of Life diagram. According to Krakovshy's “Kabbalah: The Light of Redemption”, pp. 155 to 157, gates 1 through 10 are the ten Sephiroth of a tree growing within the conjoined Malkut-Yesod-Tipheret of a greater tree. Thus gate 1 is Malkut within Malkut-Yesod-Tipheret. Gate 2 is Yesod within Malkut-Yesod-Tipheret. This continues with gate 10 being Keter within Malkut-Yesod-Tipheret of the greater. Gates 11 through 20 are a tree of ten growing within Hod of a greater tree. Gates 21 through 30 are a tree of ten growing within Netzach of a greater tree; e.g. gate 24 is Netzach of a lesser tree that grows within the Netzach of the greater tree. Gates 31 through 40 are a lesser tree growing within the Geburah of a greater. Gates 41 through 50 are a lesser tree growing within Chesed of a greater — yet the fiftieth gate touches a bond with Binah of the greater tree. Through Binah the fiftieth gate is distantly united with Chokmah of the greater tree. Chokmah of the greater reaches to Keter of the greater. Keter of the greater touches Ain Soph Aur and becomes eternal by that touch. 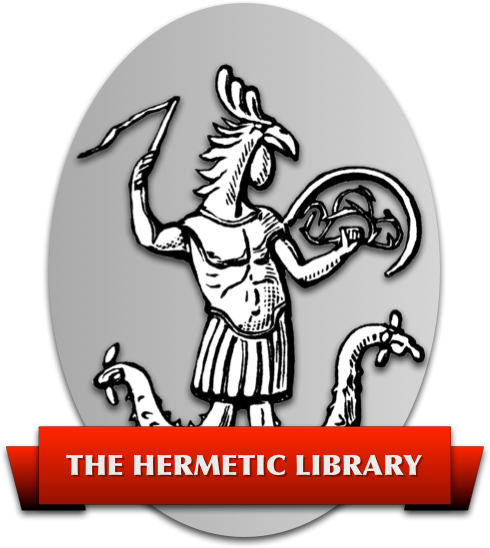 The second and lower of the two forms of the fifty gates of understanding has a structure curiously like certain of Crowley's methods. Each of the lower seven Sephiroth holds a truncated tree of seven. These lesser trees are cut short by the fear that dwells in the mortal spirit of human kind. This spirit knows that it is but a spark before a greater fire; yet it fears to draw the greater lest it vanish without a trace. The lesser spirit has no need to fear dissolution, for the greater fire takes its essence from the changing sparks that shine within its flame. This lesser spark is akin to Crowley's idea of Hadit while the greater fire is akin to Nuit. The difference here is an emphasis on “fear of encounter” rather than on desire for union. Here is an example of the second form of the fifty gates of Binah. It is said to be lower only from the greater being a perspective natural to one above the Abyss and the lower to that of one who is striving to cross the Abyss. 2. Yesod within MALKUT. Matter differentiates into substances. Elements. 9. Yesod within YESOD. Creatures become aware of the living and the lifeless. 12. Tipheret within YESOD. Creatures take harmless pleasure with one another. 34. Geburah within TIPHERET. International ritual is formalized by practice. 41. Geburah within GEBURAH. Obligations to nonhuman nature are recognized. 42. Chesed within GEBURAH. Abstraction is held superior to the material. 46. Netzach within CHESED. Tolerance of differences in philosophy appears. 47. Tipheret within CHESED. Existentialism, Positivism & Teleologism coalesce. 48. Geburah within CHESED. Personal identity with abstraction is the goal. The fifty gates of understanding can also be used in ritual meditation. The second approach to interpreting the fifty gates (below the Abyss) forms a structure for a negative confession like that found in the “Egyptian Book of the Dead”. In this, seven statements of purity are made for each of the seven lower Sephiroth. These are not to be memorized, but are made up on the spot by the ritualist each time. Each statement corresponds to a Sephira within each of the seven Sephiroth according to the pattern shown just above. Seven times seven is forty-nine statements in all. Each statement must take the form of a denial of fault, corresponding to the combination of the Sephiroth. The depth and soul-searching quality of the forth-nine truths determines success or failure. When the ritualist can say all forty-nine of these statements truthfully, the fiftieth gate will open into the Supernals though Binah. It is not necessary for the statements to be accurate in regard to one's everyday life. This procedure gradually formulates a higher self from of the normal personality. The form of the statements should begin with “I have not …” and conclude with a denial of fault; e.g. “I have not cheated anyone.” “I have not lied to anyone.” and so on. This practice is given at greater length in my booklet “Magick and Qabalah #1”, pp. 24-27. A = Aleph ——- not correct for pronunciation. Ch = Chet ——- not correct for pronunciation. Th = Taw ——– not correct for pronunciation. The reason you don't say “Fire, Fire” in that place is that it looks like a sparkeling sheet of water, actually a sort of Paroket Zohar.